With their newest album Doom Days “imminently coming” this year, it was definitely a suitable reason behind commencing Bastille’s latest tour. Titled ‘Still Avoiding Tomorrow’, this tour brought the band to the Brighton Centre. The venue and the people who arrived there were as lively as ever. The sold out status of the performance really reflected when looking at the sheer capacity of people who would pack out the auditorium later on. When I arrived to queue up for the show, the line went as far back as the Odeon. However, it moved down incredibly quickly and smoothly. The staff at the Brighton Centre were clearly prepared for a very busy and important evening. There was much buzz among fans about the band and a noticeable waft of excitement in the air. Expectations were set very high for this show it seemed. Ulysses Wells was the opening act and really got this going to a thrilling start. To perform at a place such as the Brighton Centre was a “dream come true” for Ulysses. However, the sheer quality of the music brought to us by him and his band came as proof that it was more than earned. The venue was set ablaze by the Jimi Hendrix-inspired psychedelic electro-rock that felt hyper-funky and caught on very easily. I would compare Ulysses Wells to a more psychedelic Royal Blood, which only cemented my appreciation towards the music even further. I would also highly recommend downloading the newest single from Ulysses Wells, ‘Back with the People’. It’s a very enjoyable listen. 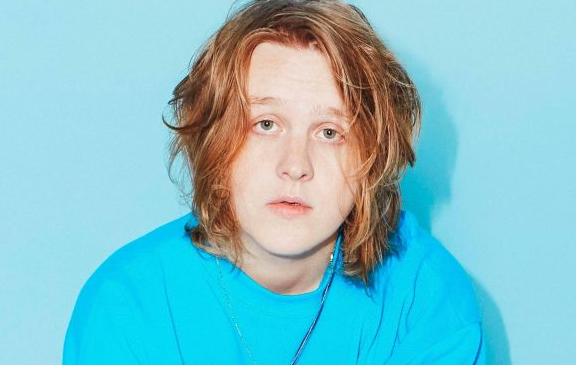 Up next, we were treated to a far more toned-down acoustic set from Lewis Capaldi, which I could only describe as a Scottish Ed Sheeran. He had spectators captivated by his ambient ballads, or as he describes them, “sad songs”, and his powerful James Arthur-style vocals. He had a tonne of support from the people watching in which countless cheers could be heard. I would even go as far to say that there were possibly as many fans of Capaldi as there were for Bastille it seemed. This was all reflected very well with Capaldi’s great on-stage banter and engagement with the crowd. Following the end of Lewis Capaldi’s set, a large banner came down that obscured the stage. Projected onto it was the tour’s title ‘Still Avoiding Tomorrow’. It was an exciting way to prepare fans for the set to come, which was of course the one we have all been waiting for. The banner remained as Bastille set foot on stage, giving an enigmatic effect in which only their silhouettes could be seen. It wasn’t until the middle of the second track of their setlist, ‘Quarter Past Midnight’, that the banner finally collapsed to reveal Bastille in all their glory, as cheers filled the entire venue. Now that the band could finally be seen, there were many colourful themes projected behind them that perfectly reflected the warmth and vibrancy of their live sound. 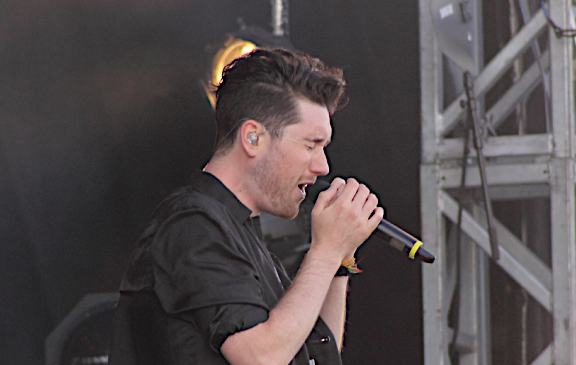 The vocals from frontman Dan Smith during the set were impeccable, whether that was a result of the amazing sound quality that the Brighton Centre offered or the power of the vocals themselves it really added a soulful depth and helped fans easily immerse themselves in the music. Dan engaged very well with the audience, constantly travelling from one side of the stage to another to keep check that everybody felt part of the experience. He also invited both support acts back on stage to perform alongside them for separate songs, which felt like a good reflection of the evening overall. Bastille and their support really provided everyone with a spectacle of a show, which would be very hard to forget anytime soon. It is also fair to say that they went above and beyond the already sky-high expectations set by fans.